Compiling a Top 50 list of rock bands is a monumental task. Genres associated with this form of music are vast. This article gives a detailed perspective on famous rock bands that have made a noteworthy contribution in various rock genres. The loud and mellow strains of rock music have enthralled fans the world over. Attitude, stage presence, creativity, music, lifestyle, madness and mayhem of rock bands are aspects that evoke a burning desire to form a band and roll without brakes. Every individual that loves rock music understands the nostalgia of purchasing albums by their favorite band or artist. 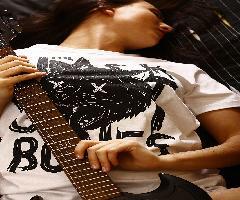 Expression and style of bands through different genres of rock music evoke a special feeling in every rock lover. 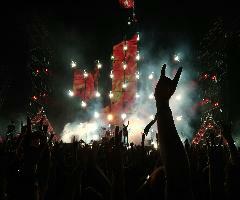 The distinctive sound and trademark performance of famous rock bands gives every rock genre its share of worshipers. Rock music gained prominence in the early 60s. Deriving from blues, country, folk, jazz, and rock n’ roll, rock music emerged with numerous bands infusing elements of early influences. A number of blues rock, and psychedelic bands mushroomed in the early years. Towards the end of the 60s diverse forms of rock music began to take shape. The 70s opened doors to several rock genres and its sub-genres. Different forms of rock music changed the cultural and social movement. Thinkers, poets, politicians, and the common man, everyone was a mesmerized by rock bands. Over the years rock has established itself as one of the most powerful genres in music. Here’s a list of the best rock bands that have mesmerized listeners. Some of the bands mentioned in the list may not have earned the success they desired, but have influenced hordes of musicians to keep the flag waving. This list of famous rock bands proclaims that no form of expression in rock music is dead. Loud or mellow, hard or heavy, there’s room for everyone. Choose what you like. Every story has an end, but not this one. Keep Rocking.